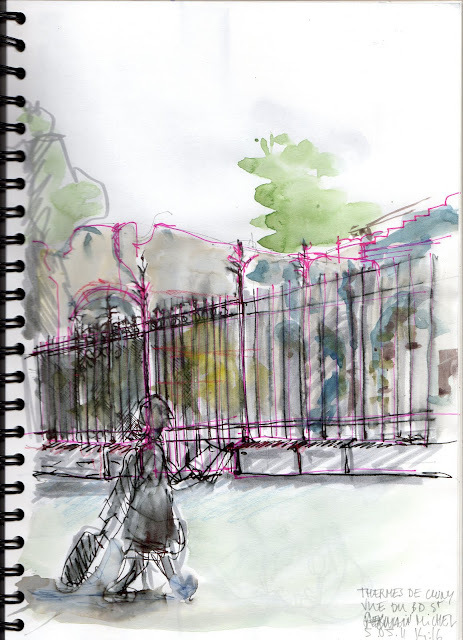 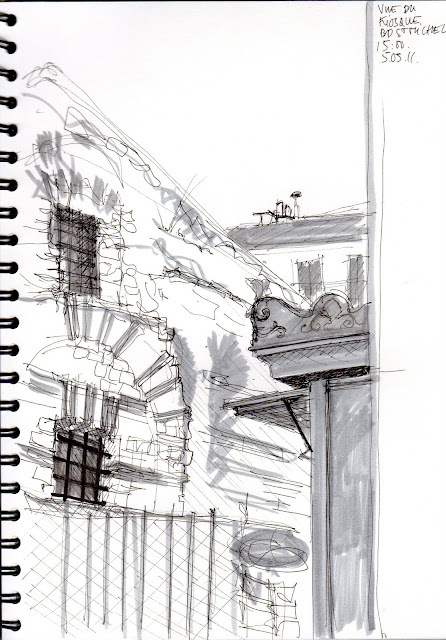 An afternoon with Juliette sketching the Gallo-Roman bath ruins outside the Hôtel de Cluny (which is a museum, and not a hotel) in the 5th arrondissement. 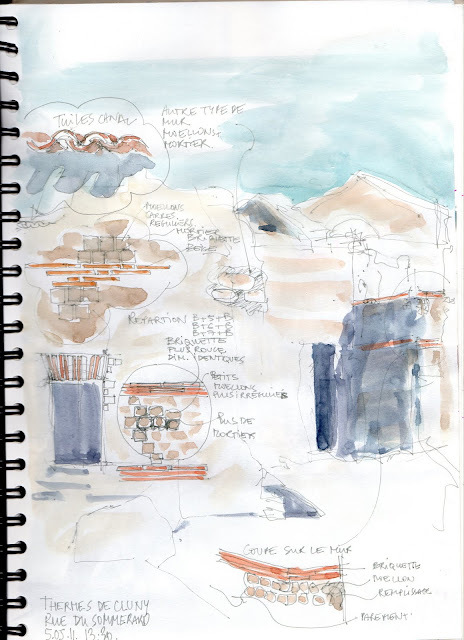 We originally planned to draw the frigidarium inside the museum. Unfortunately, a temporary exhibition kept us from finding the views that we were looking for. Lucky us, the weather was great, so we went outside and I managed to sketch this instead. 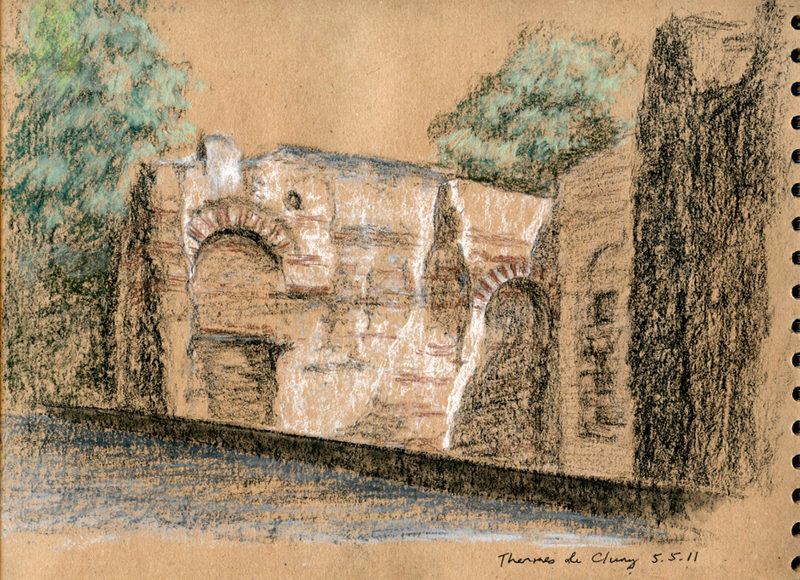 Nous sommes allés au Musée de Cluny avec Kim, avec l'envie de dessiner des ruines gallo-romaines, les thermes... Cluny est le musée du moyen-âge c'est certain, bien moins des vestiges sublimes gallo-romains! 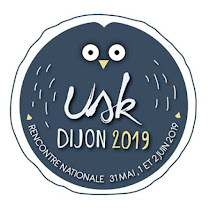 Nous nous sommes donc installées côté boulevard st Michel face aux vestiges presque visuellement accessibles.